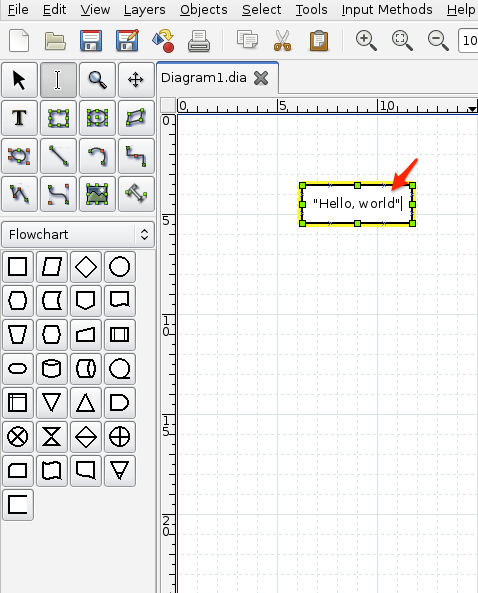 Pythonect provides both a visual programming language and a text-based scripting language. 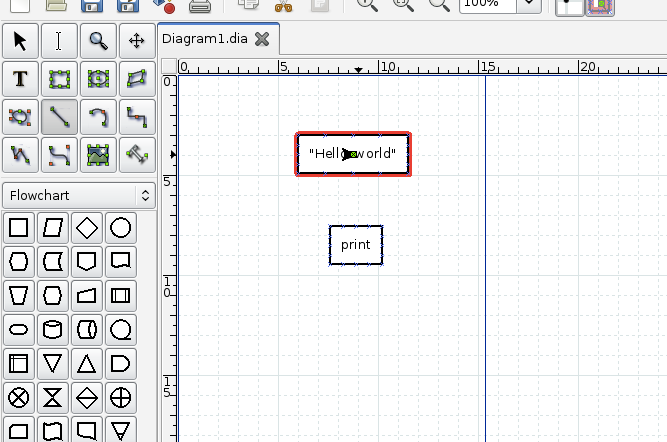 The following is an example Hello world program in both visual and text-based languages. 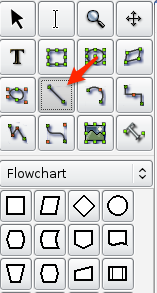 Both versions consist of the same flow. 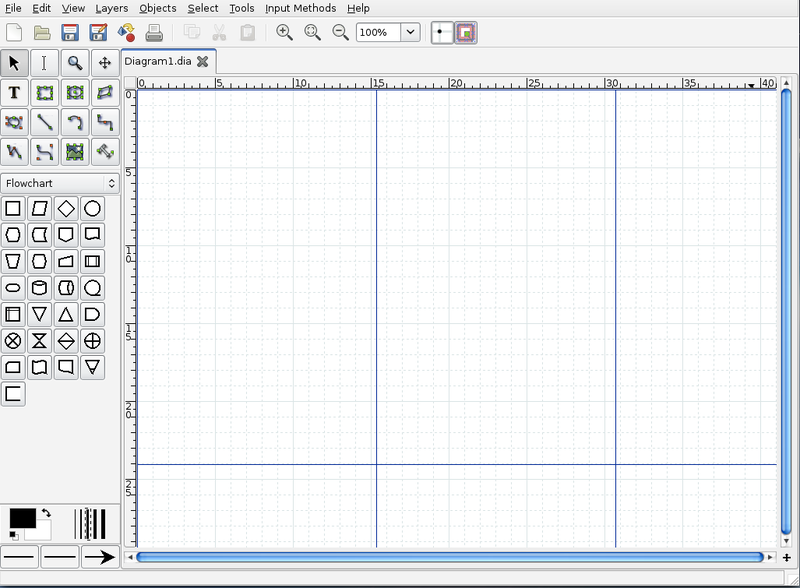 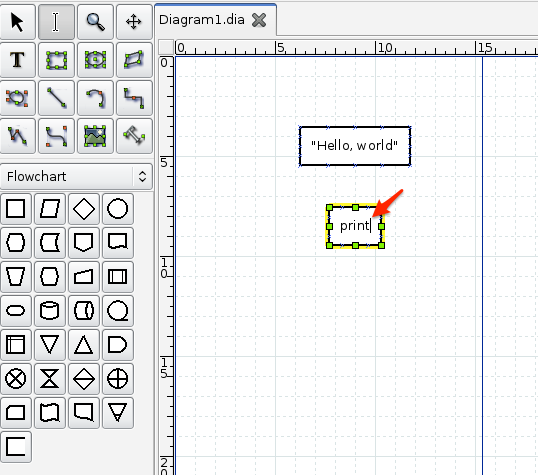 Pythonect supports multiple graph describing languages and diagram formats. 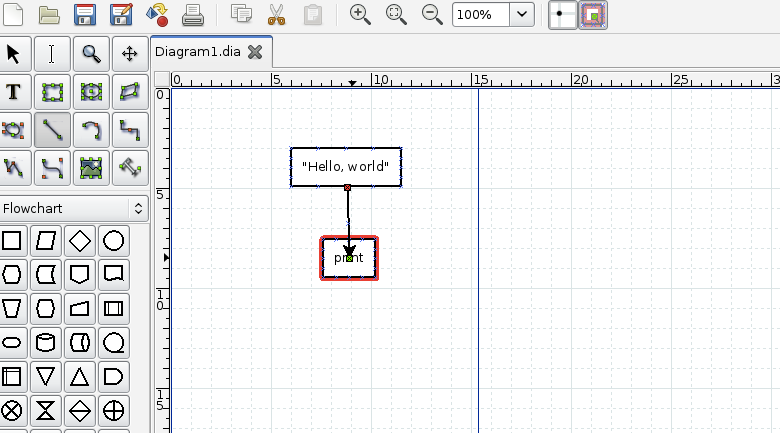 For the Hello world example I will be using Dia. 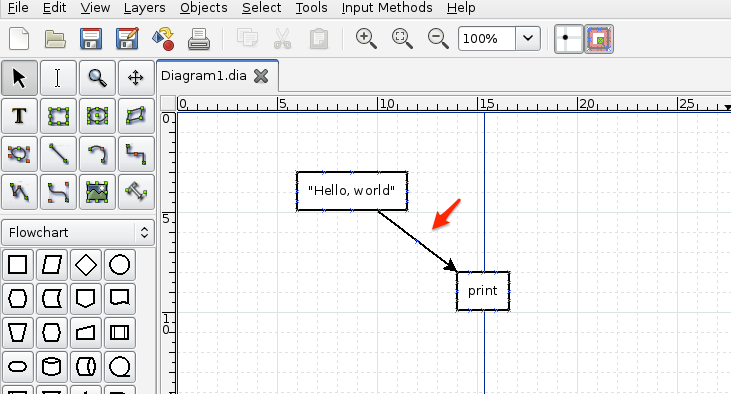 To break it down: "Hello, world" is a literal String, print is a Python function, and -> is a text-based data flow operator. 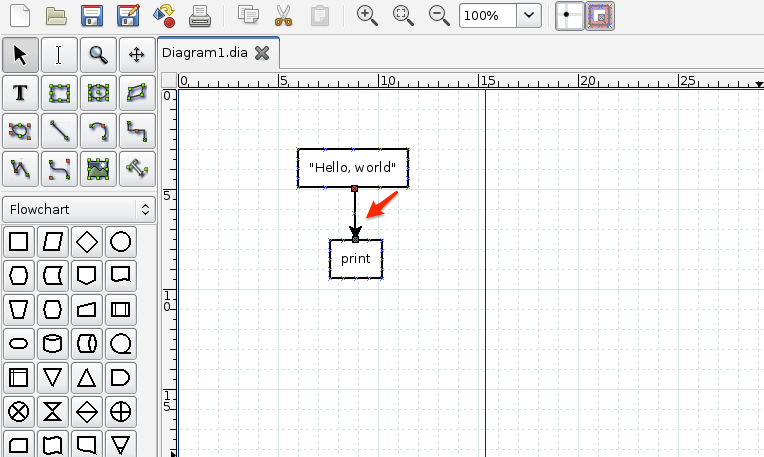 You can learn more about Pythonect’s Data Flow Operators at the Data Flow section.